WHEN a happy teenage girl who loved butterflies and books took her life earlier this year, it sent shockwaves through Australia. Now, in an incredible new interview with Amy Jayne Everett's parents, they reveal what made their daughter tick, what she loved doing and how she could have grown up to be anything she wanted to be. Affectionately known as Dolly, the 14-year-old from the Northern Territory took her own life in January after being relentlessly tormented by online bullies. It rocked tight-knit community in the and sparked a nationwide debate about cyberbullying and bullying in our schools. 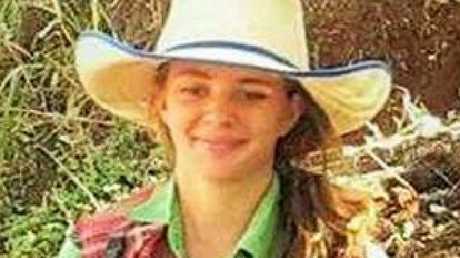 Her parents Tick and Kate have revealed what their lives were like before that devastating day in January and how content their daughter seemed living at their cattle ranch. "She had so much to live for," Mrs Everett told A Current Affair. "I wish she could see herself through my eyes and not through the eyes of the people who made her feel like that." They also told Tracy Grimshaw about Dolly's love for her family, animals, her art and music, butterflies and books. Dolly’s death has sparked a anti-bullying campaign. Picture: Supplied. "In my eyes she was this gorgeous, amazingly funny and talented girl that had so much to live for and could have been anything she wanted to be," Mrs Everett said. The grieving parents have been vocal in trying to raise awareness around cyberbullying since Dolly's death. Before she died, Dolly sketched a picture of a young woman doing a bend back beneath the words: "Stand up, speak even if your voice shakes." "This powerful message tells the dark, scary place our beautiful angel had travelled to," the family said in a statement shortly after her death. "We are not concerned with the who or the why of who pushed our daughter to this point, we just want to save another family going through the sadness and tragedy that our family is experiencing." "Stop Bullying, Be Kind, Do It For Dolly." Her father Tick posted the message on his personal Facebook page shortly after she died, saying: "If we can help other precious lives from being lost and the suffering of so many, then Doll's life will not be wasted." 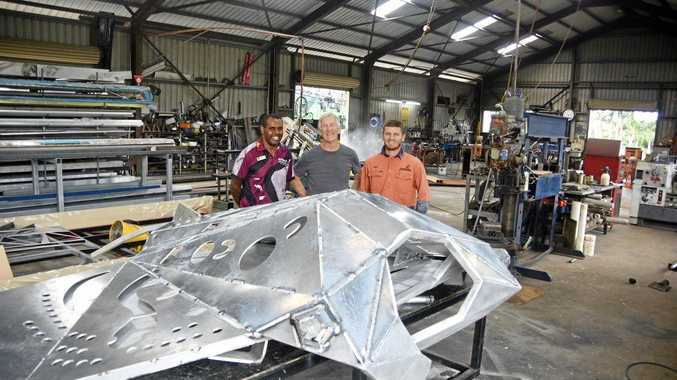 The Everett family were living happily in the NT outback. Picture: Supplied. 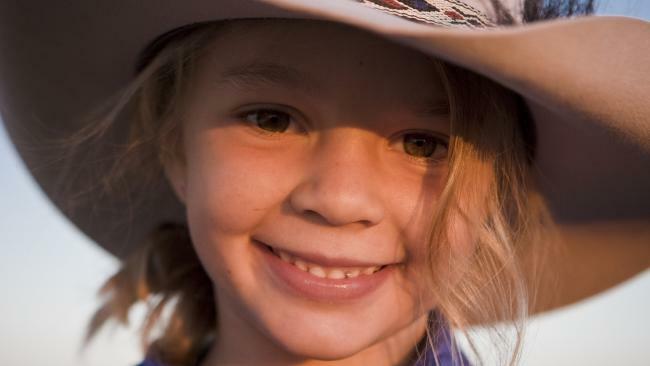 Dolly's death has led to sustained calls from concerned parents across Australia to tackle the issue of bullying in the country's schools and online. Parents have also been sharing the heartbreaking stories of what their children have been going through. In March, the family of a 12-year-old Sunshine Coast boy demanded answers after he attempted suicide twice because of relentless bullying. He was picked on because of his red hair and freckles. The torment was so bad for the Year 8 student at Gympie State High that his parents even tried to change the colour of his hair. 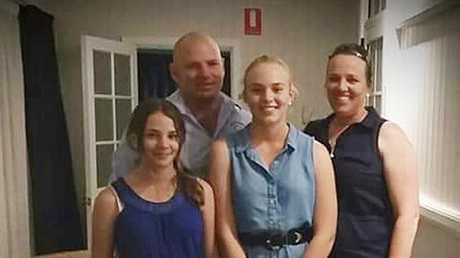 A mother from the Gold Coast also spoke out last month about her 13-year-old daughter Emily Stick took her own life last month after months of vicious and persistent online bullying. She also revealed how she found out through a text message. "I got a message that night from Emily saying 'I'm going to kill myself'," she told 9 News. "But I never saw it until it was already too late." She told the station that her "fun-loving and caring" daughter was subject to physical, verbal and online abuse.